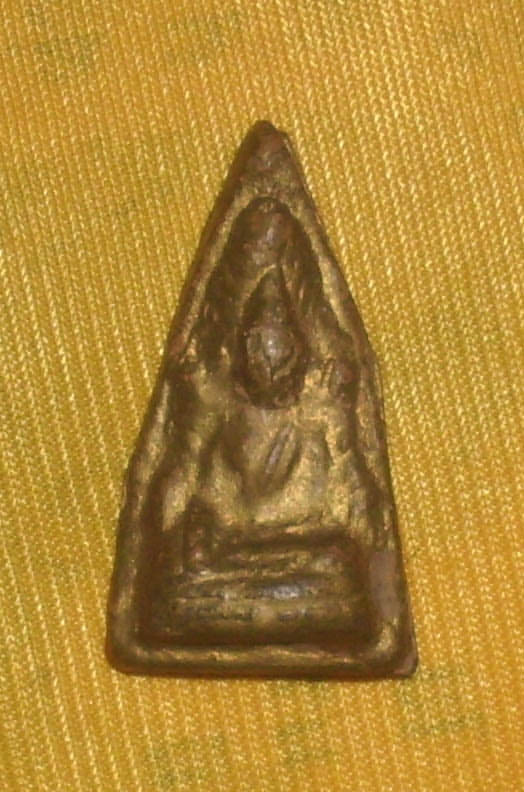 Luang Phu Yim – Wat Jao Jet – Pra Putta Chinarat amulet. 90 years old with gold leaf covering – Blessed by LP Yim, Luang Por Jong and Luang Por Parn. 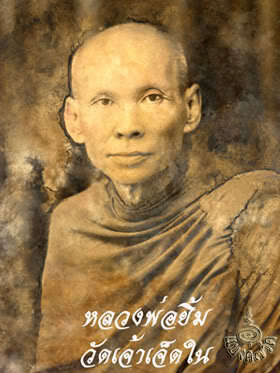 Luang Por Yim was a Master Gaeji Ajarn of Pra Nakorn Sri Ayuttaya of the second world war Era, and the Indojin (Indochina) War. LP Yim was befriended on best friends basis with the Great Master Luang Phu Jong of Wat Na Tang Nork (Ayuttaya), who was slightly older than him by three years. Another intimate friend and colleague in practice was Luang Por Parn of Wat Bang Nom Kho, who was exactly the same age as Luang Phu Yim. All three of these Masters would constantly visit each other at their respective temples, and swop and share the various magical Wicha of Buddha magic they had learned in the time they had not seen each other. It came to be spoken, that all three of these Monks and their amulets had special power. They were said to be full of Puttakun and Metta Mahaniyom power, and strong with Kong Grapan Chadtri invincibility. 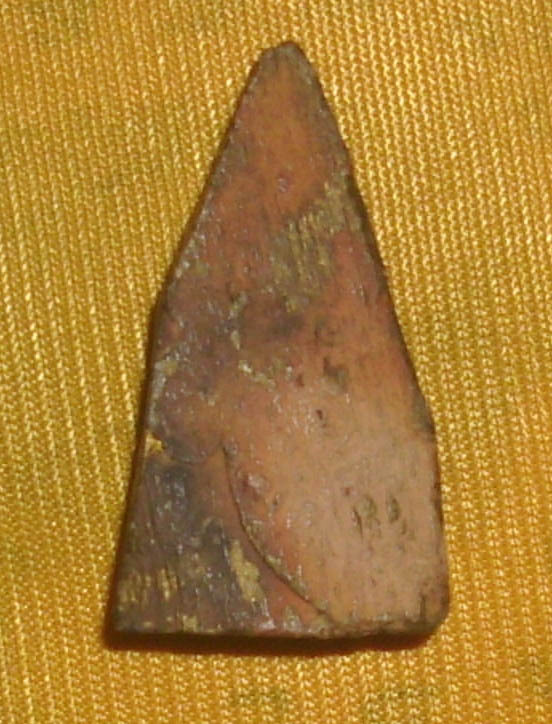 Apart from sacredness and certainty of power in this amulet, it is a wonderful example of old style clay ‘Gru’ amulet and was made at the same time with and in the same manner as Luang Por Parns amulets. The amulet is thus interesting not only for having been blessed by Lp Yim, LP Parn and LP Jong together, but also for students of authenticity of Luang Por Parn Wat bang Nom Kho amulets, who wish to study the Muan Sarn sacred powder and its aging process in order to fine tune their abilities of recognition. This is a popular amulet to rent for the purpose of study, because it was made in the same way, from same substance same blessings and same method of Gru as the classic Wat bang Nom Kho amulets them self.